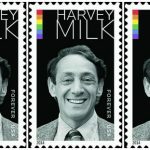 I’m pleased to share my new review, “Harvey Milk’s Chutzpah”, in the brand-new issue of The Indypendent! The piece is a review of Lillian Faderman’s new biography of gay icon Harvey Milk. Ahh, the sweet satisfaction of seeing your work in print! This entry was posted in Uncategorized and tagged Harvey Milk, Jessica Max Stein, Lillian Faderman, The Indypendent. Bookmark the permalink.